On another note - your hair is getting so long! The loose waves really suit you - wondering do you still prefer the conical wand? Love the shape of the dress and the shoes are stunning!! Very simple and gorgeous look. Currently have so much saved in my ASOS basket! Adore the dress, totally agree with you about the length & wow! those shoes are to die for. 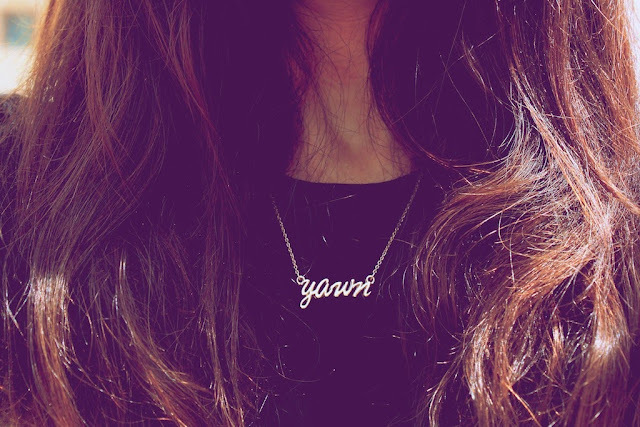 That's the best nameplate necklace I've seen! I love the outfit. 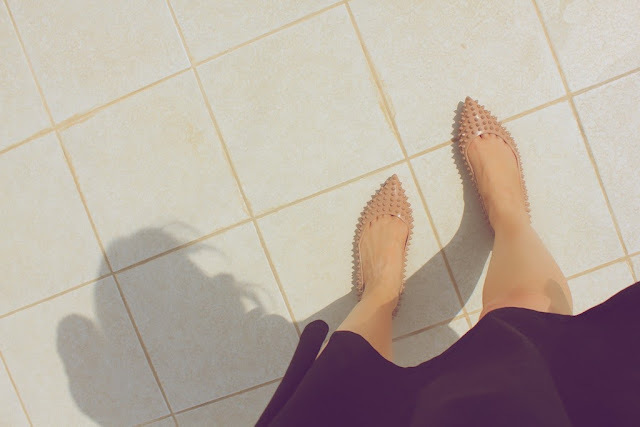 Sometimes I think statement shoes are much more chic when they're flats rather than stilettos. The necklace is the perfect touch :) & I live for ANYTHING (and everything) in black so the dress is a winner! Those shoes though.. Love Love Love.. I love this outfit! And those shoes are flat out Amazing. Love it! The Louboutin's are amazing!! Yikes! I can hear ASOS calling out my name!! Your Loubies are so stunning! You have amazing taste in shoes Laura! what a beautiful look! Effortless and chick, as always. 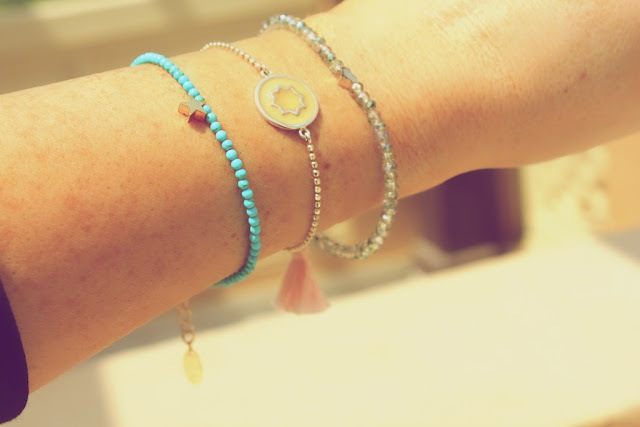 Loving the jewelry too! I love the necklace, big fan of one word jewellery at the minute! That necklace is adorable! Love how dainty and pretty the font looks. Lovely traditional hair style. I love your dressing. While you serach for Online Fashion you must go for latest trends in the celebrities. You got a good and more attractive dress and it is improving your beauty and I like this dress in black, navy and in the red color that so many people love when a young girl wear these dresses. your neckline is also too good and I love the boat neckline that looks too attractive. Nice post. Browse pendant designs online.